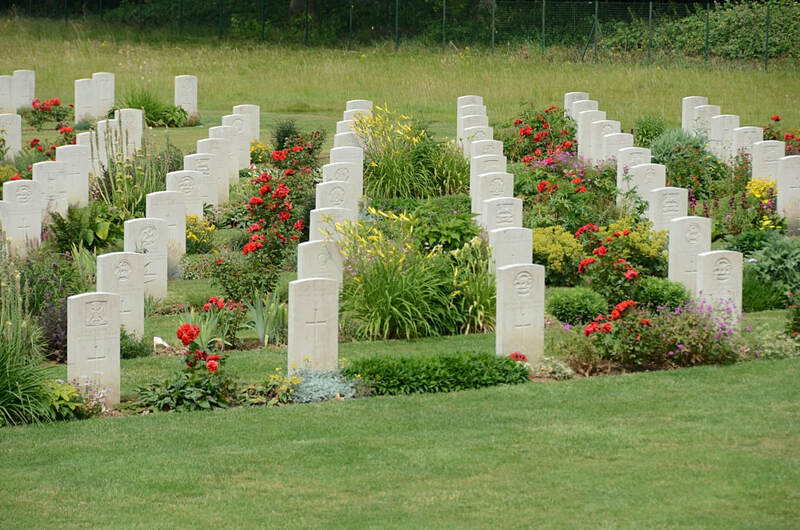 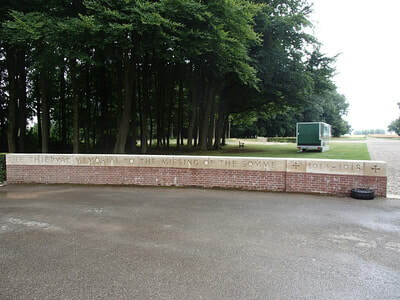 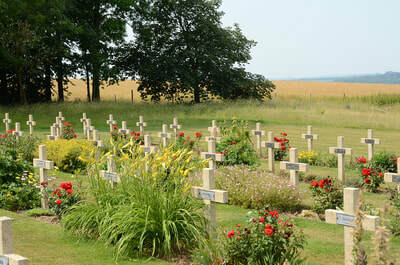 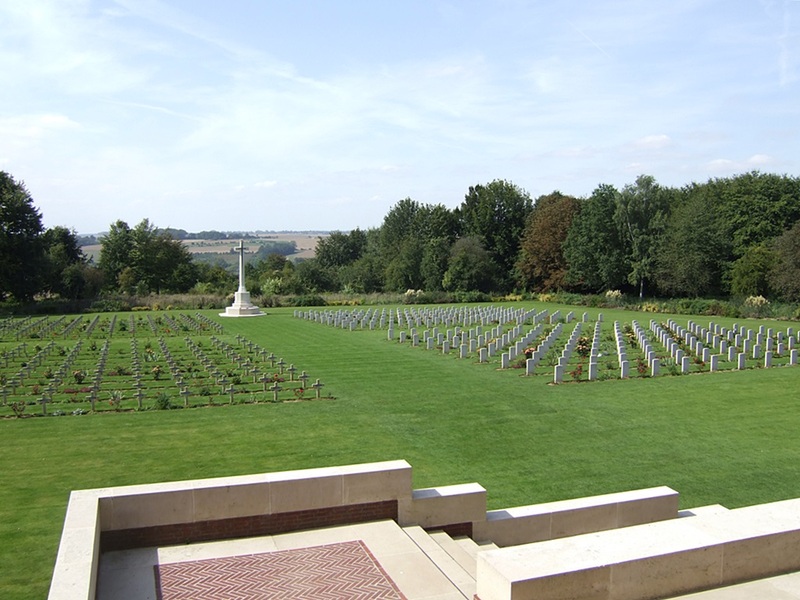 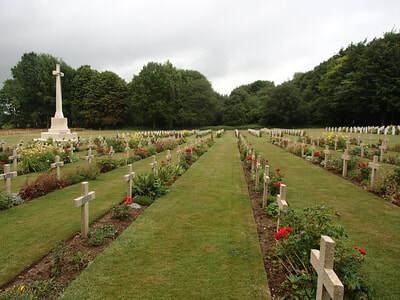 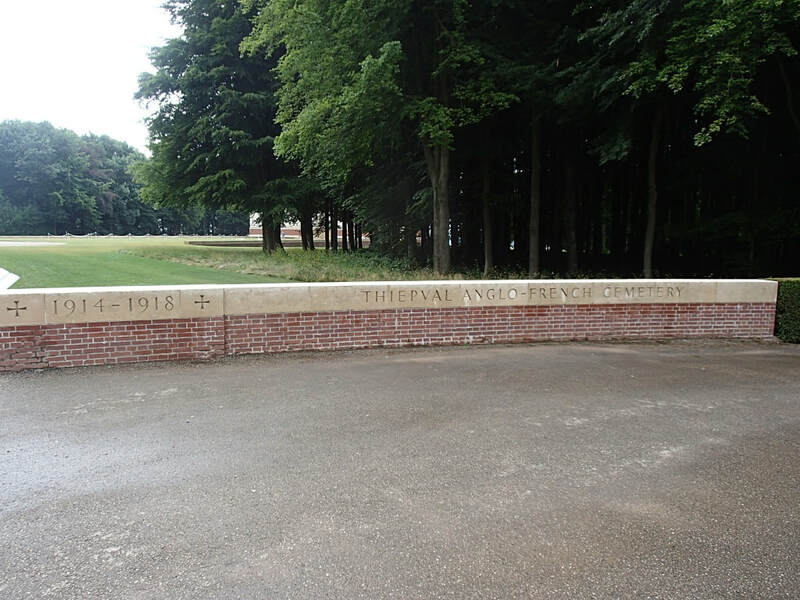 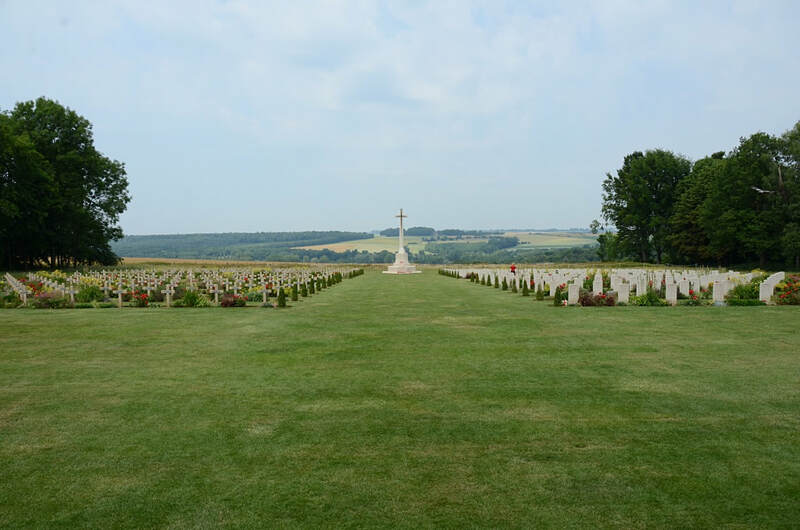 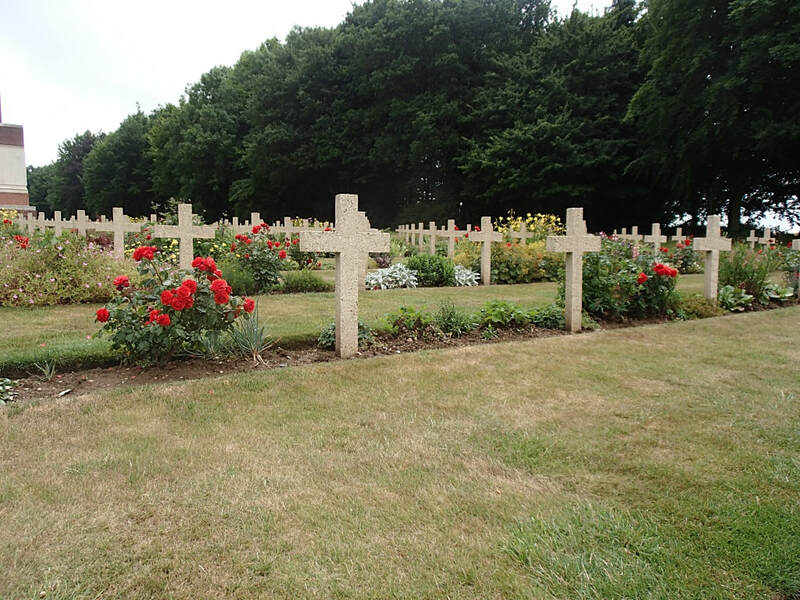 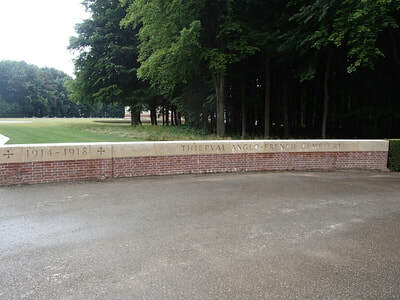 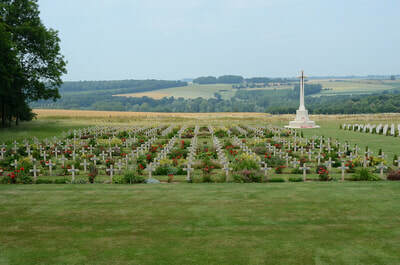 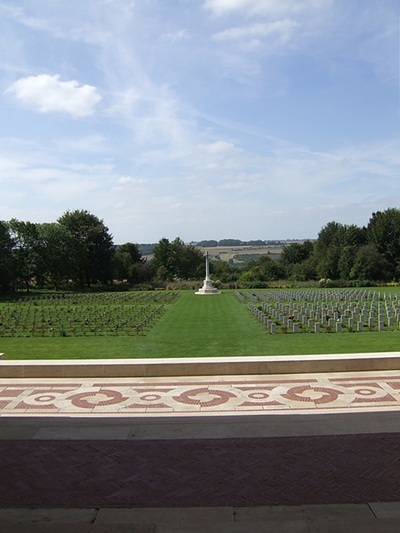 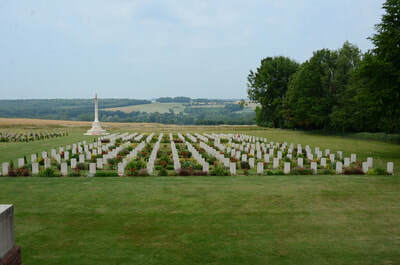 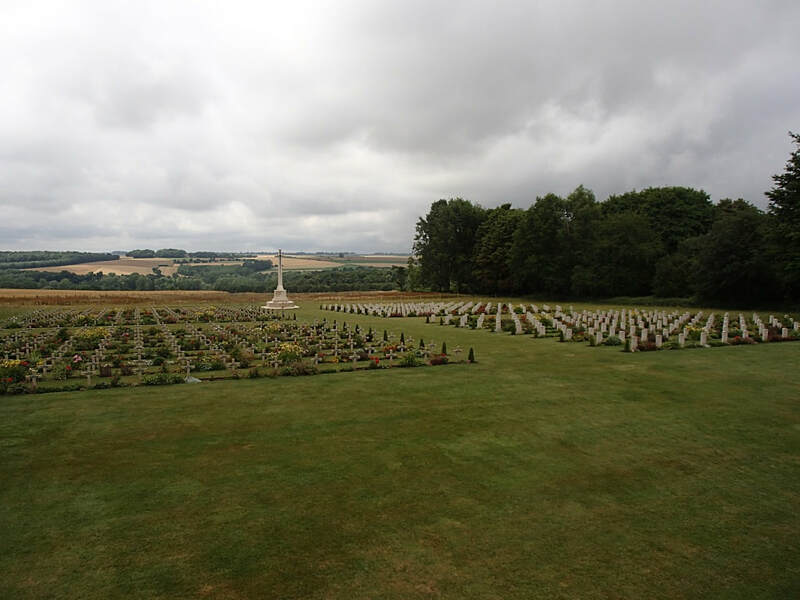 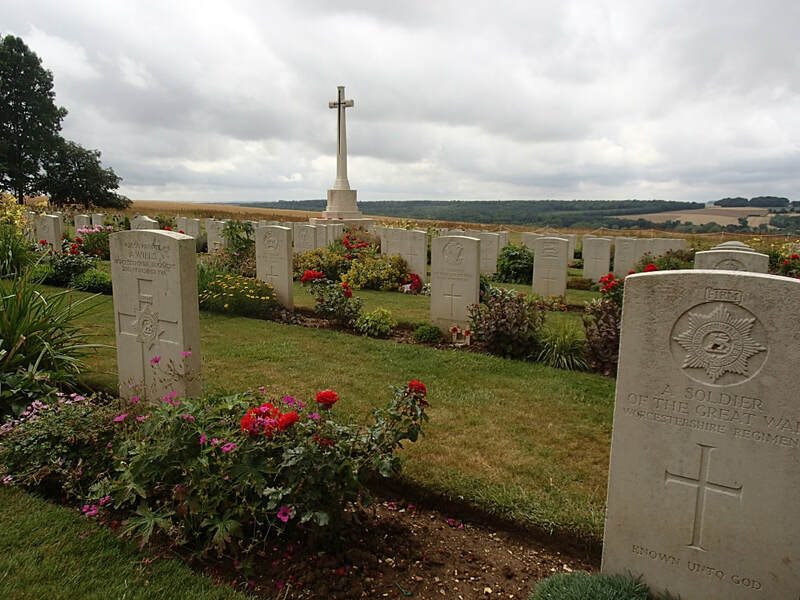 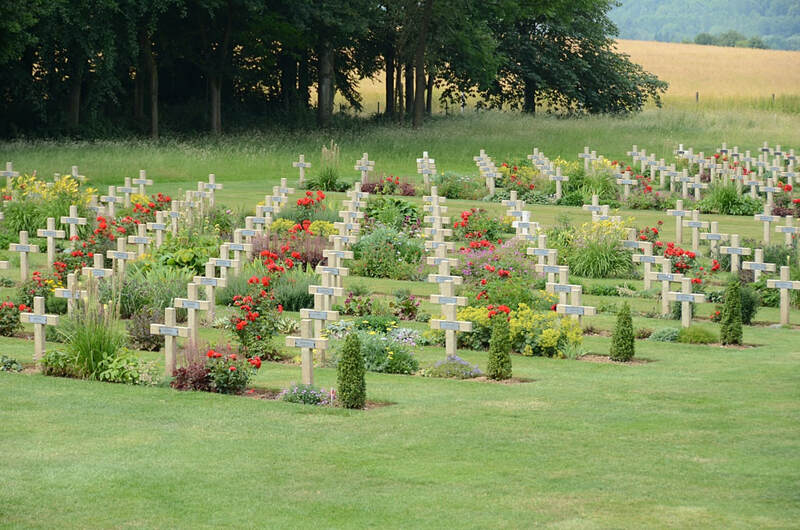 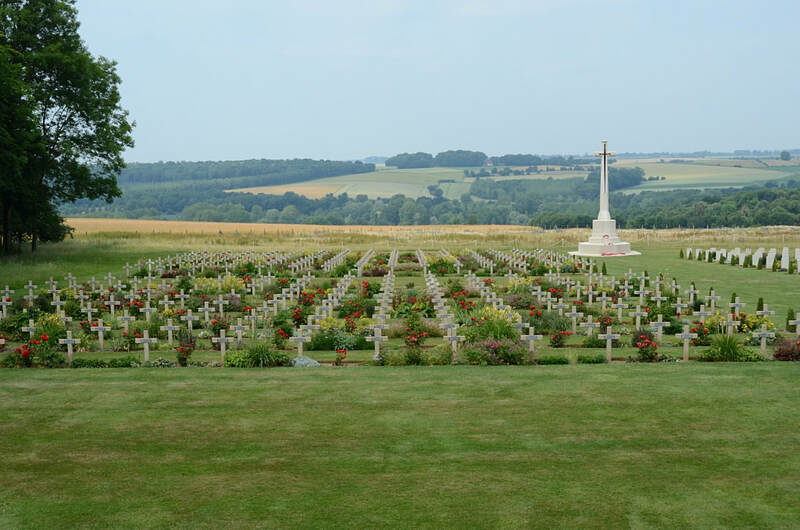 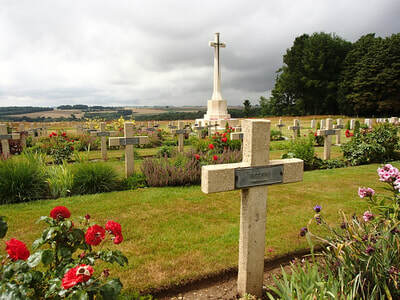 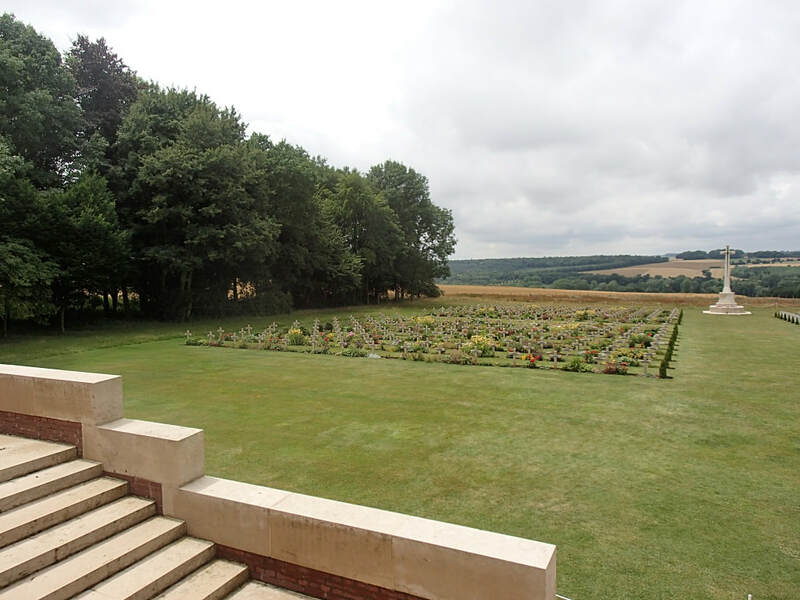 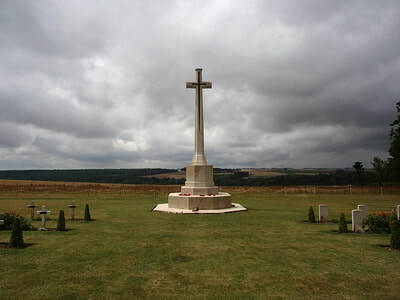 This cemetery is behind the Thiepval Memorial, on the D73, off the main Bapaume to Albert road (D929). Visitors should note that the location and design of this site makes access for people with limited mobility difficult and people using wheelchairs or mobility scooters may require some help to reach the cemetery and the memorial. 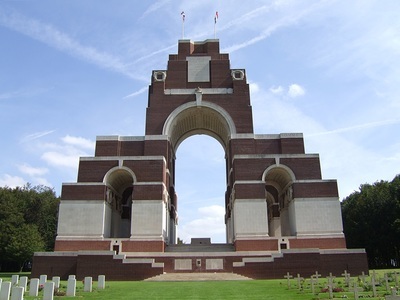 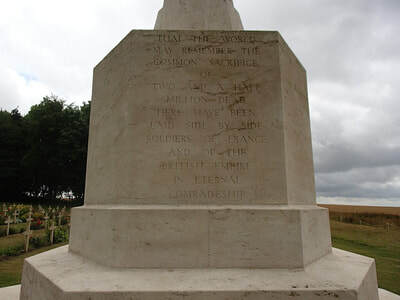 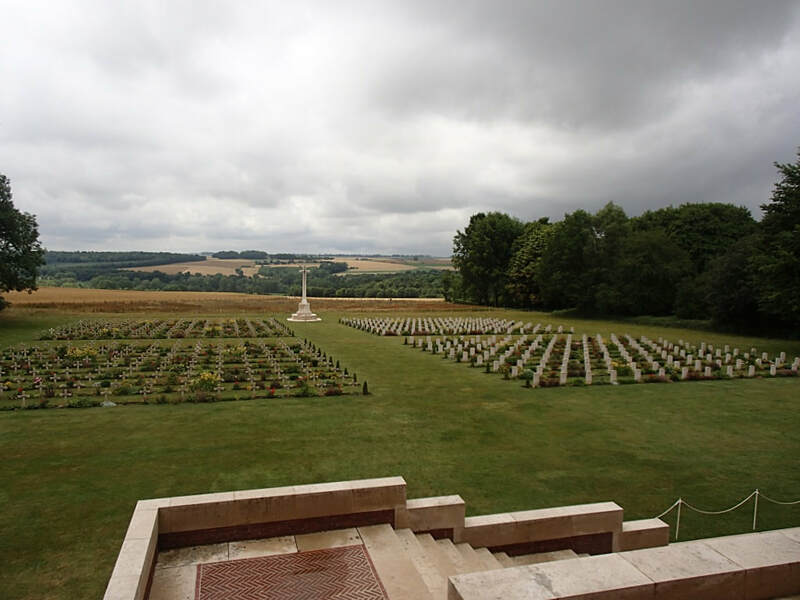 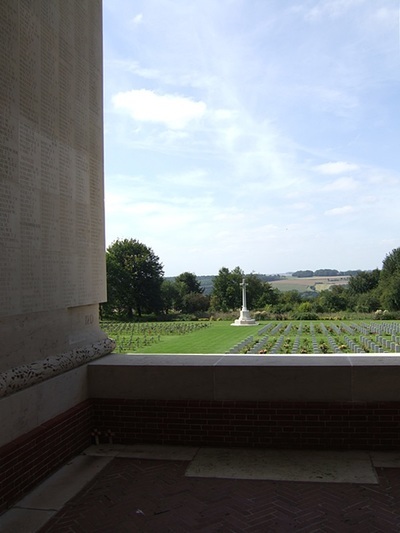 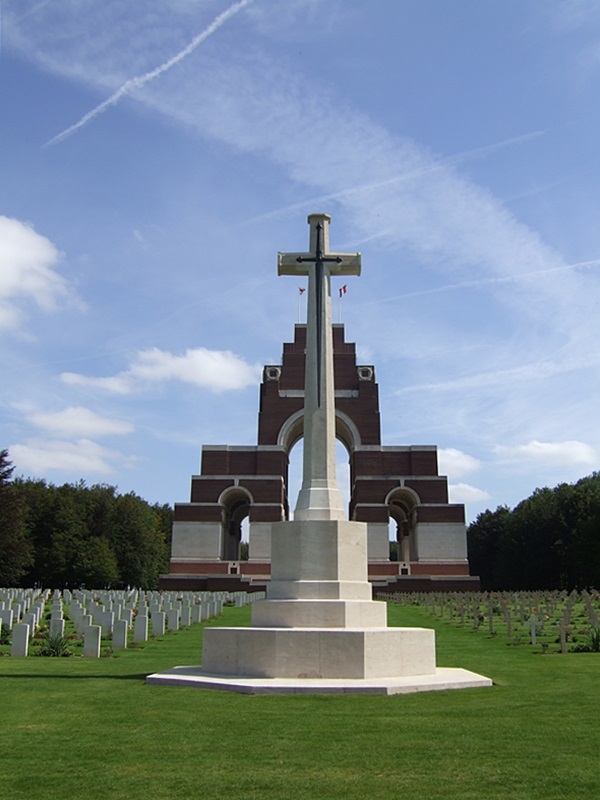 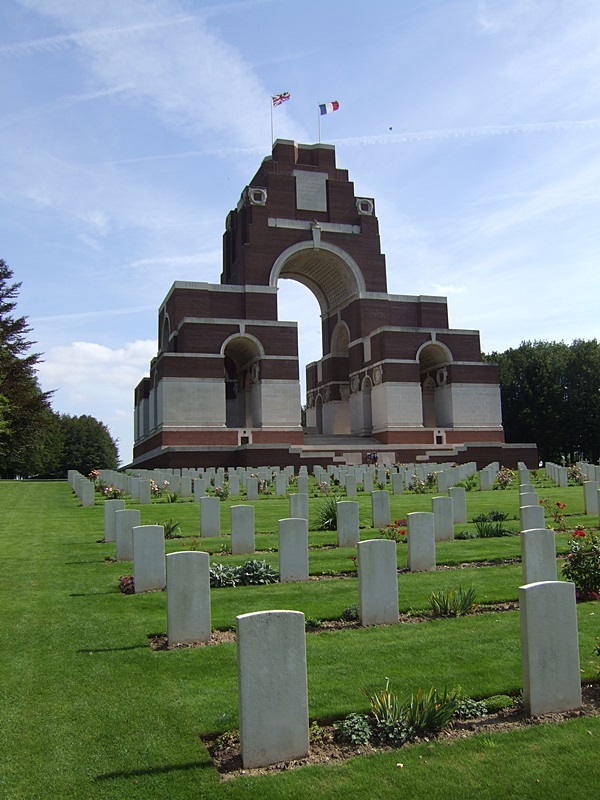 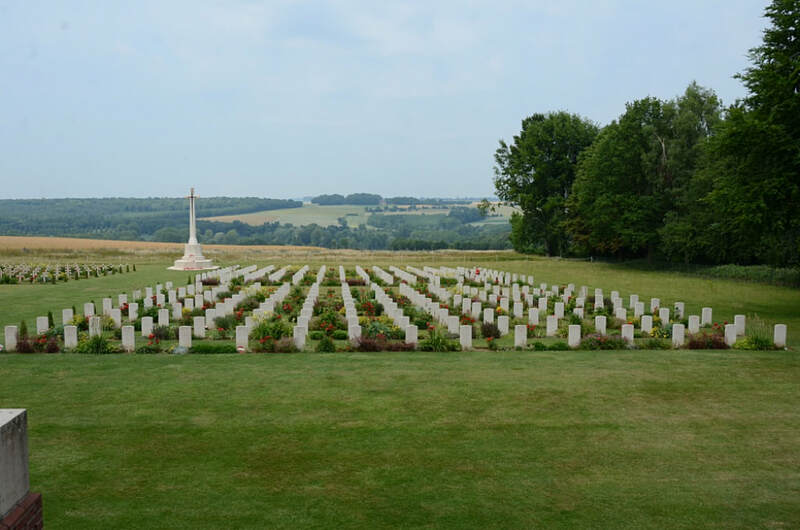 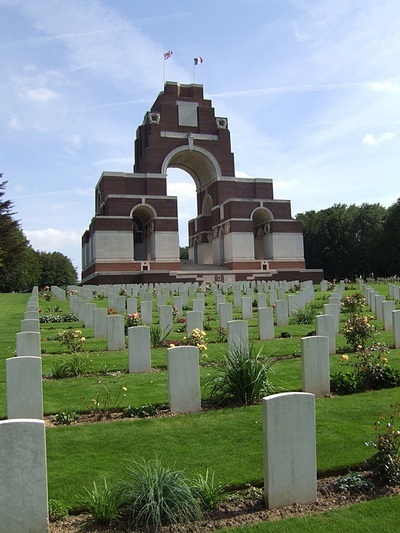 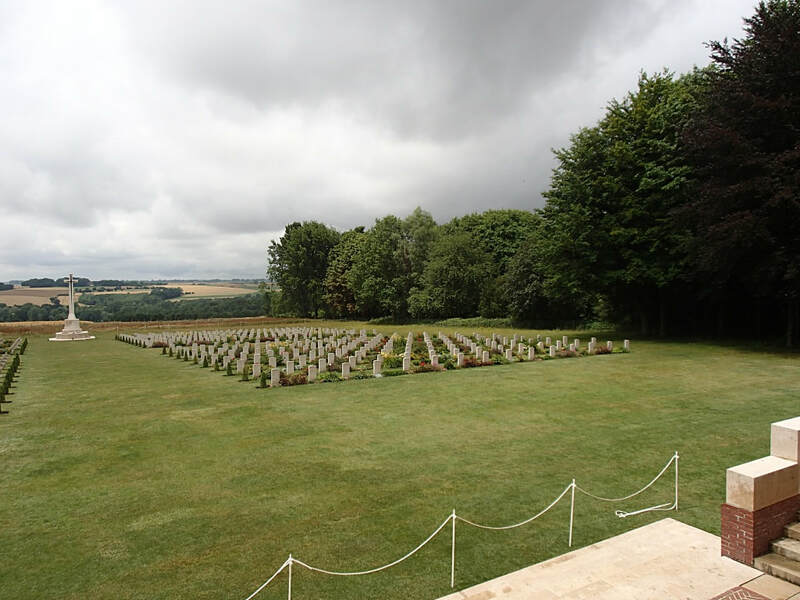 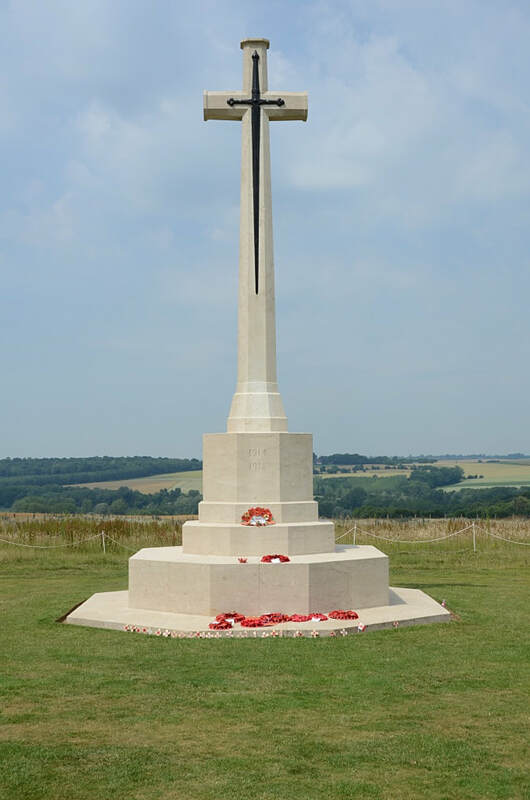 The Thiepval Memorial, the Memorial to the Missing of the Somme, bears the names of more than 72,000 officers and men of the United Kingdom and South African forces who died in the Somme sector before 20 March 1918, and whose graves are not known. 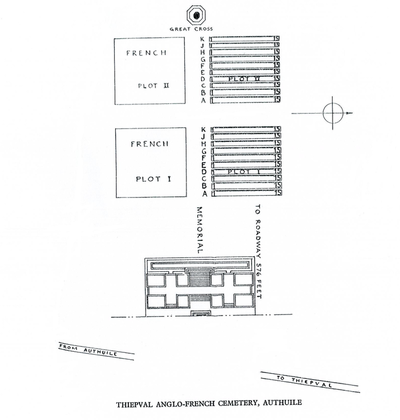 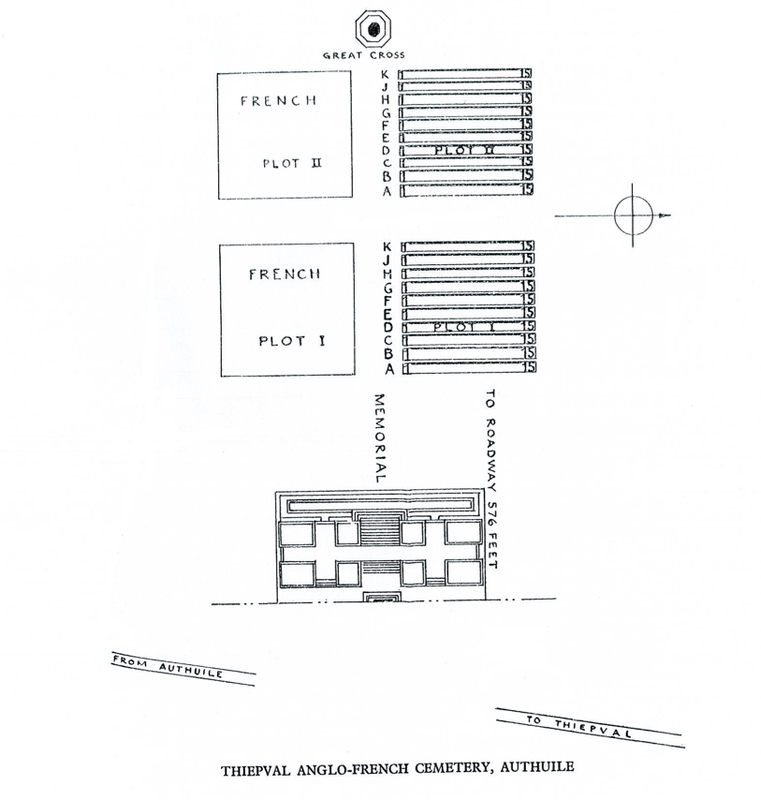 In the winter of 1931-32, it was decided that a small mixed cemetery be made at the memorial's foot to represent the loss of both the French and Commonwealth nations. 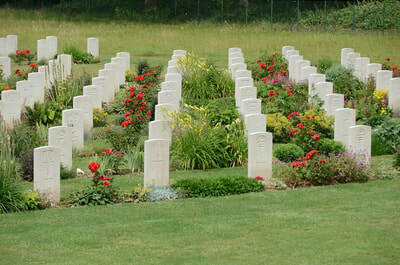 Of the 300 Commonwealth burials in the cemetery, 239 are unidentified. 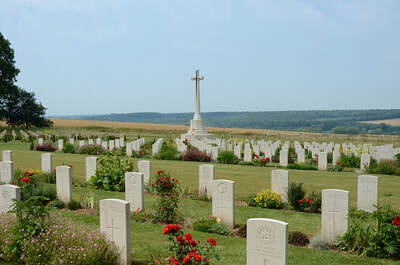 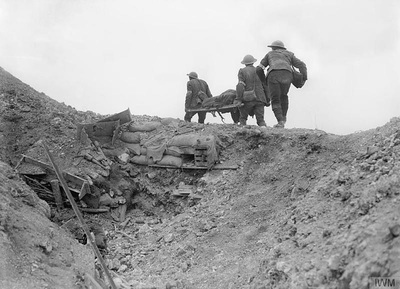 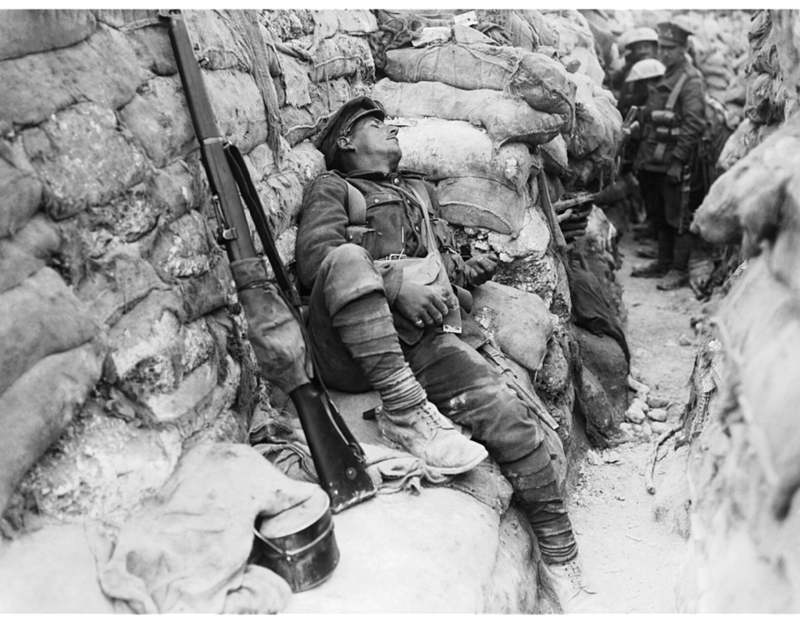 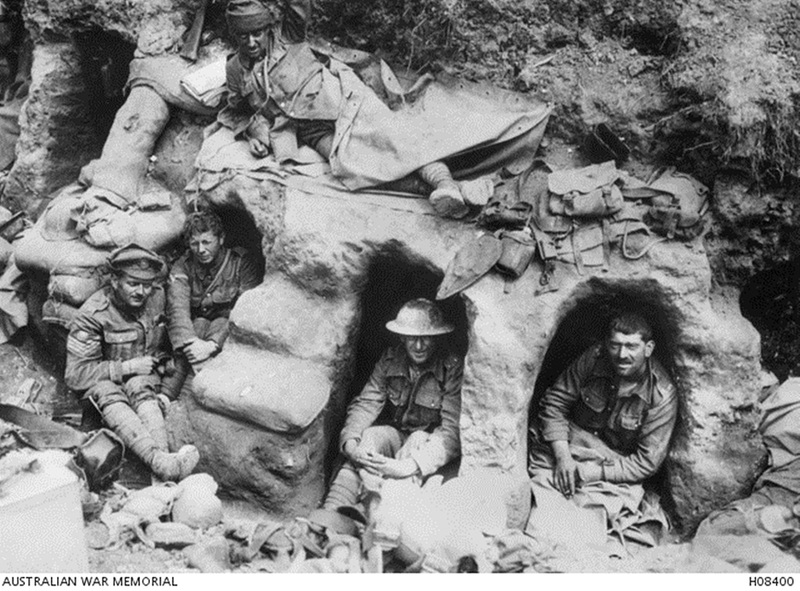 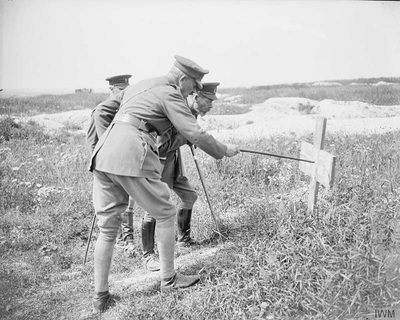 The bodies were found in December 1931 and January-March 1932, some as far north as Loos and as far south as Le Quesnel, but the majority came from the Somme battlefields of July-November 1916. 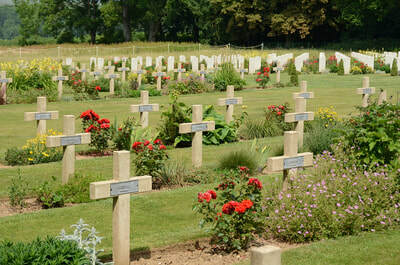 Of the 300 French dead, 253 are unidentified. 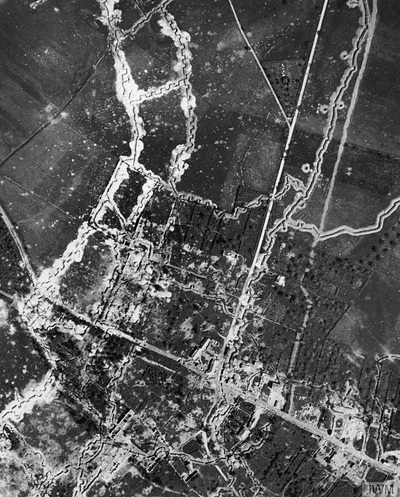 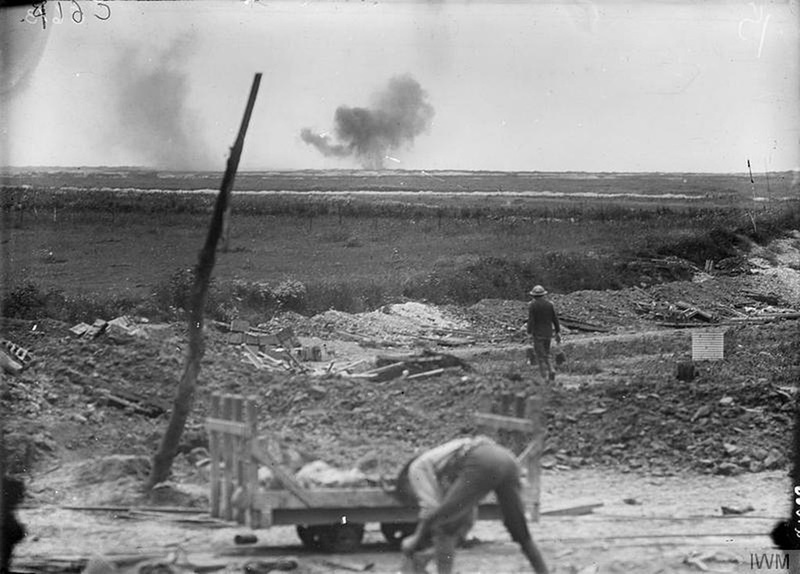 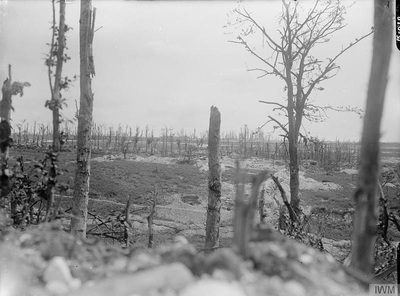 Post war view of countryside from the Pozieres Windmill (left) to Thiepval (right), taken from the north looking southward. 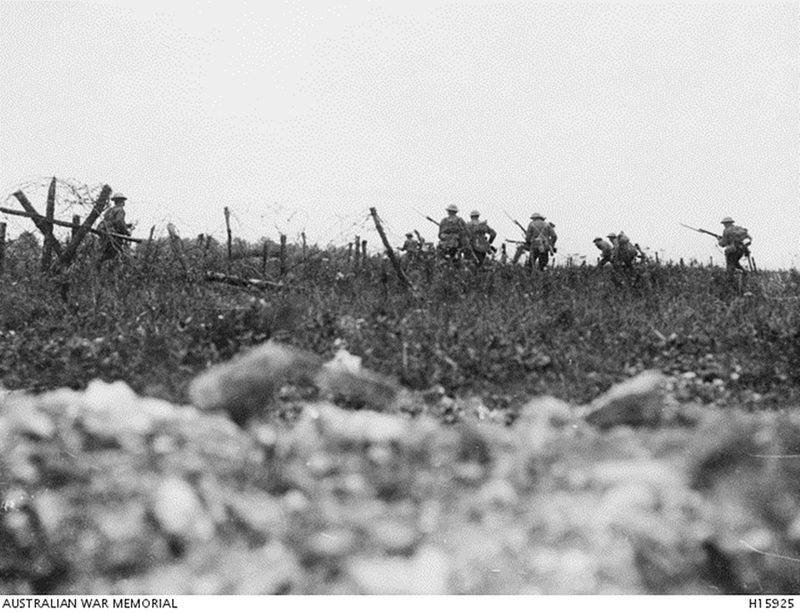 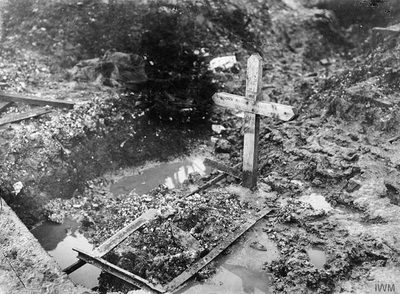 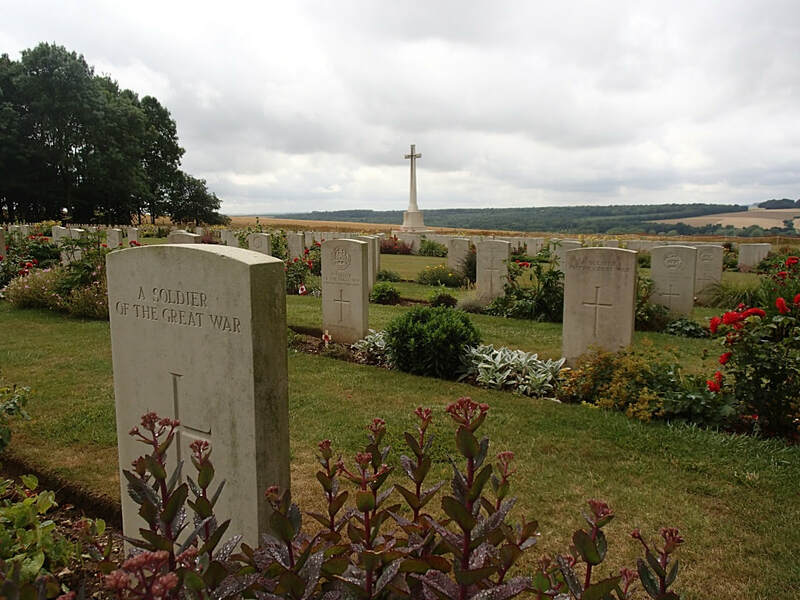 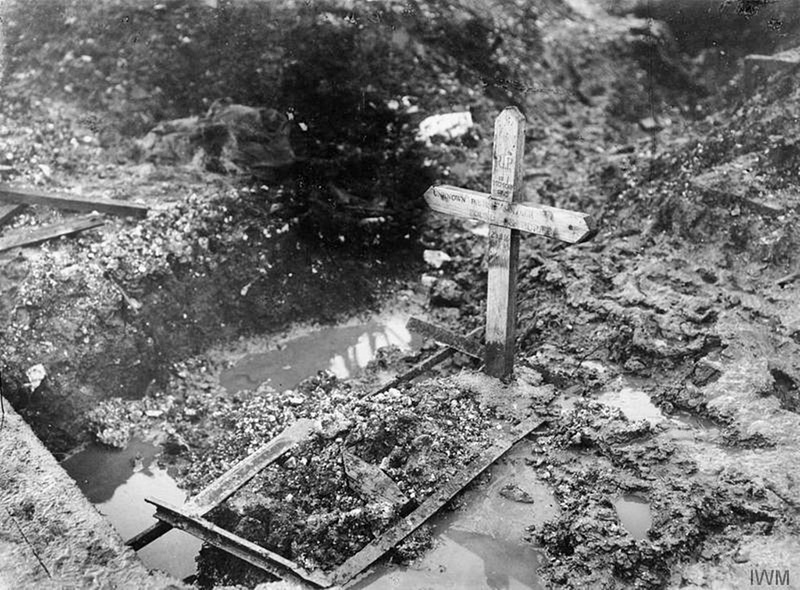 In the background (centre right) is a grave and barbed wire entanglements.